Corey Fecteau is the Art Career Advisor and Service Learning Coordinator for the McComsey Career Development Center at Alfred University. 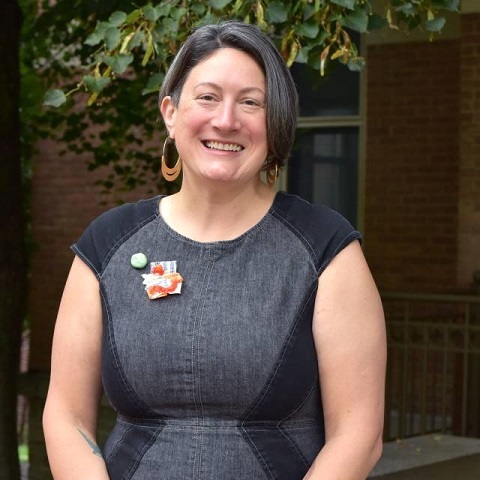 Her role involves mentoring and professional development support for students, especially students planning careers in the arts, as well as supporting volunteerism and civic engagement initiatives. She also teaches Concepts of Service Learning (UNIV/SJST 115) and an arts-focused section of Career and Professional Success (UNIV 102-02). Corey lives locally with her family and dogs, a dachshund and a greyhound.